Japan has one of the best transit systems in the world. If you have lived in a city with a decent public transportation system, you’ll do just fine with catching trains. But even if you haven't, don't worry! The trains typically run really frequently, are rarely late, and are easy to figure out after a few rides. Major Japanese train stations (or eki in Japanese) are not like the American stations I have been to. Major Japanese train stations, like Tokyo’s Shibuya Station, Osaka's Namba Station, Kyoto’s Kyoto Station, or Shinjuku Station) are like giant shopping malls with a train station inside of them. There’s tons of shopping and food inside of and adjacent to the major train stations. They're really quite massive and you can easily get lost in the them. So just make sure you have allocated enough time to find what you’re looking for and try not to get too frustrated. Smaller stations are much simpler and typically only have a few stands or stalls, so they're very easy to navigate in comparison. One tip is to try to sit near the door on the train so you can read the signs over the door easily. I actually recommend standing on the trains for the first few rides, as sitting makes it easy to miss your train if you're only going one or two stops. The trains have signs and maps over the door that tell you the next station. The new trains have LED video monitors or digital screens that are really easy to read and displays stop names, announcements, and other helpful information in English and Japanese. It is harder to see the stop map on the older trains—especially if you don't read Japanese—but you can still figure it out because the stop names typically written in English as well as Japanese. Japan has one of the best transit systems in the world. If you have lived in a city with a decent public transportation system, you’ll do just fine with catching trains. But even if you haven't, don't worry! Also, in Tokyo at least, if you’re a man or traveling with men, do not board the pink train cars during commuting hours. It’s pretty clearly labeled, but if you’re rushing onto a train (which you shouldn’t do anyway, as it's dangerous to run on the platform) you could accidentally board a "women-only" car. These women-only cars are in effect during the major commuting hours (i.e. mornings and evenings). Japanese taxis are really expensive. I’ve taken them a handful of times: when it was too early at the Haneda Airport and trains weren’t running, when out with friends in Tokyo and we were going a short distance and splitting the fare, or when I stayed out too late and missed the last train back to my apartment. But overall, taxis are quite pricey so I rarely take them. And taxis cost more at nighttime, so there’s also that to keep in mind. They are very easy to catch in Tokyo at least, and most drivers speak some English. I typically direct them to a train station or the to the address of a major attraction nearby, and then walk to where I need to go. When telling your driver your destination, try not be too vague—they really need an address to enter into their GPS, unless you can give them a major landmark or train station. If you're not comfortable speaking Japanese, have the address printed out or written on your phone so you can show it to them. If you're going to tell them a landmark or location verbally, the drivers will know the major stations in big cities, but if you try to tell them a specific restaurant, hotel, or store name, it likely will just cause confusion. They probably will have no idea where you’re trying to go, even if you speak Japanese fluently. So just stick to landmarks. And don’t worry too much about price gouging—I have not heard much about this happening at all in Japan. Finally, two things to remember: 1. don’t tip the driver, as it is not customary to tip anyone in Japan, and 2. do not try to open or close the taxi door, as they’re usually automatic and will open/close when the driver presses the button. You may have seen the Japan Rail (JR) Pass advertised. This is a transit pass offered by the Japanese government to tourists in Japan. Japan’s train system has two buckets: government-operated (JR) and privately-operated (there are a variety of private companies, like Keio, Tokyo Metro, or Odakyu). The JR pass allows you unlimited access on most JR trains, as well as some JR-operated buses and ferries. This can be a great deal with fantastic savings, but it depends on your trip's itinerary because the JR Pass does not work on private lines. You have to buy a ticket or use a transit card for private lines. Determining whether or not you need a JR pass depends on how long you’ll be staying, what train lines you’ll need to take, w whether or not you’ll be staying in one region or taking expensive trains (like the shinkansen) across the country. Determining whether or not you need a JR pass depends on how long you’ll be staying, what train lines you’ll need to take, w whether or not you’ll be staying in one region or taking expensive trains (like the shinkansen) across the country. My experience is that I usually get a JR pass because I usually visit both the Tokyo and Kyoto/Osaka metropolitan areas, so it saves me money instead of buying rides individually. But I’ve had friends who have gone who did not get the pass because their itineraries wouldn't allow save them any money by getting the pass, so it really depends on where you’re going to be traveling to. Another thing to keep in mind is that sometimes only relying on JR trains is not ideal; they can be really inconvenient because a private line often provides a faster or more direct route. Also, sometimes the JR train or bus won't directly go to your destination if it's less touristy or more obscure place, meaning you'll have no choice but to pay for a private rail train. Overall, before you buy a JR pass, you should calculate the cost of how much it will take to get to all of your destinations without a pass and then compare it with total cost of the JR pass. I suggest using Hyperdia to do this because its filtering feature allows you to plan routes that only relies on JR trains (Google Maps does not do this—it shows you the fast/most convenient route regardless of whether the train is JR or private rail). You can use Google Maps to get a general idea of what routes to take within a city or when traveling from city to city, like Tokyo to Kyoto. But if you’re concerned about maximising your JR pass, Hyperdia is better because Google typically shows you the most convenient route, which may or may not include private lines. Regardless of whether you get a JR Pass, I highly recommend getting either a Suica or a Pasmo card when you arrive. They're transit cards (similar to San Francisco’s Clipper or Los Angeles’ TAP cards); you can load money on them to pay for the train, bus, or ferry. There used to be more of a difference between Suica and Pasmo, but now it really doesn’t matter—in most major cities, you can use either card. I personally have a Suica card because the mascot is a cute penguin. You can pick up a Suica or Pasmo card at the airport, or any major train station. But having a transit card is extremely convenient because you don't have to fumble with change as you try to enter the station, which helps minimise confusion. Just pay attention to the balance remaining as you enter or exit a station, but rest assured knowing it’s very easy to reload the card at any station. One other feature that makes a Suica/Pasmo card useful is that you can also use them outside of trains and buses. You can also use these cards in konbini or vending machines. Even some clothing stores and other places will accept them! 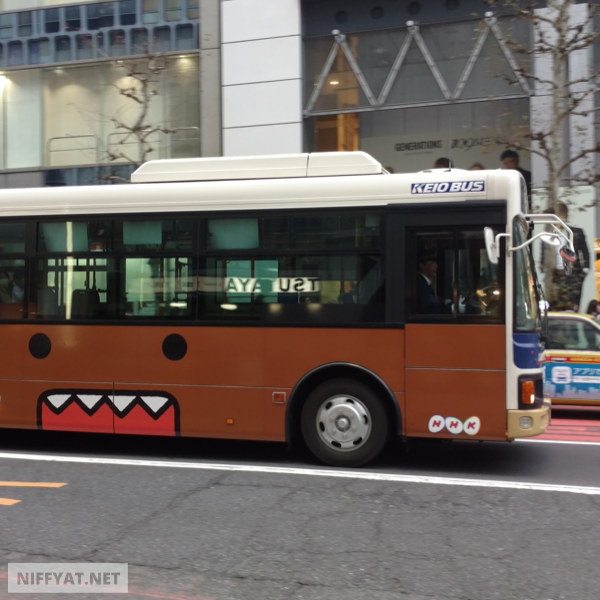 For more about Suica and Pasmo, see The Japan Guy’s post that explains the cards in depth. I try to fly into Haneda Airport in Tokyo. Narita Airport is larger, but it is also quite far from Tokyo. And as much as I love Japanese trains I don’t like the feeling of wasting time traveling an hour to Tokyo when Haneda only takes 30 minutes. If you do fly into Narita, make sure you take the N’EX (Narita Express) train and not a local or limited express train. Otherwise it could take much more than an hour. While I prefer Haneda Airport's location and amenities a bit more, Narita is still a great airport, so you won’t go wrong either way. Haneda is just a little more convenient for my travel style, but not all airports can fly internationally to Haneda so it’s not an option for everyone. I’ve taken the train, a taxi, and airport shuttle buses to and from the airport. Trains are convenient from Haneda and Narita, but if you have a lot of luggage it can be stressful taking the train. A taxi from Haneda is pricey but not too bad in the early morning when there’s light traffic, but a taxi from Narita is so expensive that I don’t want to think about it. Airport shuttles are nice options too, but I typically arrive super early, so I tend to use the shuttle to return to the airport if I have a lot of luggage. Refer to Japan Guide’s pages for more information about Haneda and Narita airports.